The global Physician Office Laboratory (POL) Market has been expanding substantially over the last few years. Supported by the technological advancements, the market is likely to remain proliferating over the next few years. POL testing has its base in developed regions as emerging economies still rely on hospital infrastructure for the diagnosis of acute and chronic medical conditions. Developing regions, however, has been demonstrating a significant potential for decentralized testing, thanks to the rising support from nongovernmental organizations and the increasing number of public health programs, intended towards spreading awareness for high-burden diseases such as hepatitis, acquired immuno deficiency syndrome (AIDS), diabetes, and tuberculosis (TB). As of now, the substandard care present at primary care facilities and community health organizations in most of the emerging countries lead a number of patients to hospitals. However, the rise in the disposable income of people in these nations have encouraged leading healthcare providers to invest heavily in western style physician practices, leading to the installation of a large pool of physician office laboratories and clinics, especially in India and China. Since POL testing is not prevalent globally, as its counterparts (hospital laboratories, commercial or private reference labs, and hospital POCT), its future growth is seemingly uneven. Also active restriction on specified services from physicians or healthcare professionals over the primary care visits in some countries may also reflect negatively on the growth of Physician Office Laboratory (POL) Market in the near future. Clinical and hospital laboratories presently account for a massive chunk of the total number of diagnostic, monitoring or screening tests undertaken across the globe. However, a constantly rising number of physicians and physician groups are preferring to undertake part or entire volumes of lab testing in-house as an excellent way of improving patient care and boosting their operative incomes. Such in-house lab practices are called physician office laboratory (POL). The term is diverse and covers physician’s practices as small as 2 to 5 physicians to large practitioners with 200 or more physicians that operate labs similar to laboratories in small hospitals. In-house testing practices facilitate physicians to become self-reliant and obtain results in a much faster manner than possible in outsourced lab tests. POLs also reduce the chances of loss or deterioration of test samples, enhancing the confidence regarding the accuracy of results. Broadly, POL refers to tests performed in: physician’s office, conducted at the same time of consultation or with other healthcare professional, wherein results are mostly provided during the medical visit itself, and are used for monitoring, screening or diagnosis purposes. 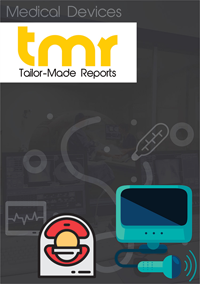 This report on the global physician office laboratory market presents a thorough overview of the present growth dynamics of the market and its key segments. Several insightful projections regarding the growth trajectory of the market over the period between 2017 and 2025 are also included in the report. The report also includes a detailed analysis of factors such as growth drivers, restraints, regulatory scenario, competitive landscape, and trends and opportunities, expected to have a notable influence on the growth prospects of the market over the said period. The global Physician Office Laboratory (POL) Market is chiefly driven by the vast advancements observed in the field of testing technologies and supporting instrument and equipment in the past few years. The emergence and easy availability of easy to use microelectronic and microfluidic instruments that offer excellent accuracy and control is making POL feasible for smaller offices and is also enabling some physicians to perform tests for other doctors. The demand for such in-house laboratories is also significantly rising globally owing to the rising prevalence of infectious and chronic diseases and associated public health issues. However, the cost of meeting compliance requirements for local, state, and federal regulations, especially in developed economies, may hamper the market’s growth to some extent. On the basis of geography, the global physician office laboratory market is segmented into Asia Pacific, North America, Europe, and Rest of the World (RoW). Of these, North America and Europe are presently the leading contributors to the revenue of the global physician office laboratory market. In the North America, the number of POLs increased at a phenomenal rate from nearly 95,000 in 2000 to 111,000 in 2010. The number of POLs has also significantly in Europe over the said period. Across both the regions, the constantly rising number of POL tests approved by the respective healthcare authorities will help drive the POL market in the next few years as well. However, the POL market is expected to witness the most lucrative growth market across emerging economies in Asia Pacific in the next few years. Several factors, including the vast rise in prevalence of infectious diseases, the rising population of elderly, and a significant rise in focus on quality health care are expected to fuel the growth of the Asia Pacific POL market in the next few years. Some of the most influential companies in the global physician office laboratory market are Accriva Diagnostics, Akers Biosciences, Axis-Shield, Chembio Diagnostic Systems, Boule Diagnostics, Alfa Wassermann Diagnostic Technologies, Diazyme Laboratories, Polymer Technology Systems (CHEK Diagnostics), Carolina Liquid Chemistries Corp., 3D Medical Diagnostics, Magellan Diagnostics, Biomerica, Inc., Accumetrics, Vital Diagnostics, and Nanosphere, Inc.